It’s flu season and humans aren’t the only ones suffering. Wild bighorn sheep across the west are contracting pneumonia and dying in alarming numbers. Biologists are pointing their fingers at bighorn’s domestic cousins. Across the American West, domestic sheep are permitted to graze on millions of acres of public lands, including critical bighorn habitat. When wild sheep cross paths with infected livestock, the disease causes catastrophic die-offs that severely limit the recovery of the species. Bit by bit, NWF is working to shift livestock grazing patterns to make sure there’s plenty of room for wildlife and historic ranching operations to thrive. Since 2002, National Wildlife Federation has been a leader in resolving conflicts between livestock and wildlife on public lands. NWF’s voluntary approach to conflict reduction—offering direct payment to ranchers to give up their leases to graze on critically important public lands—has resolved issues between bighorn sheep, bison, wolves, grizzlies, and livestock on over 1.1 million acres in the west. This has resulted in significant wins for wildlife. Increasing the range of grizzly bears in the Yellowstone Ecosystem, expanding bison habitat, and protecting bighorn sheep from disease are just a few ways that NWF is making a big difference. Map of recent conservation agreement in Idaho. Our most recent conservation agreement protects at-risk wildlife such as bull trout and bighorn sheep on over 7,000 acres and cost $30,000. This is extremely important because sheep grazing on the Fisher Creek allotment posed a significant risk of disease to the East Fork of the Salmon River bighorn population. The allotment is just next door to the recently designated Cecil D. Andrus White Clouds Wilderness Area. This is good for wildlife because it qualifies for permanent grazing retirement to further protect the wilderness and wildlife values of the area. 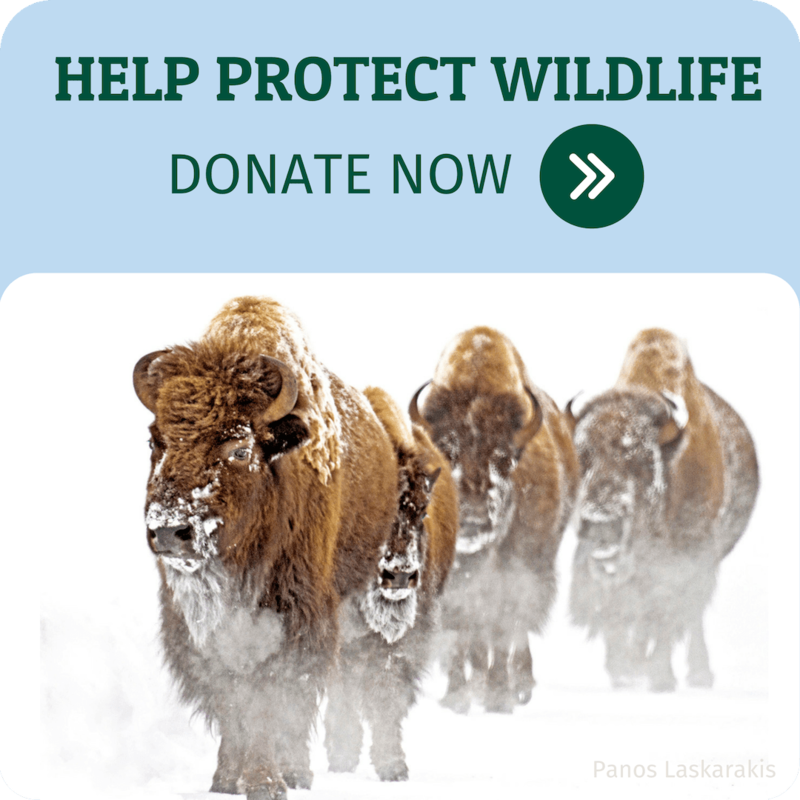 National Wildlife Federation is working across the west to expand wildlife populations and protect critical habitats. NWF members have played a significant role in this work through our “Adopt a Wildlife Acre” program—for only $3/acre, conflicts on public land can be permanently resolved. We are working across the west and had our first grazing retirement in a National Park—Capitol Reef, protecting over 75,000 acres. This year we look forward to more opportunities across the west, including Nevada, Colorado, Utah and Idaho. With your help, NWF looks forward to protecting over 200,000 acres of wildlife habitat in 2019!